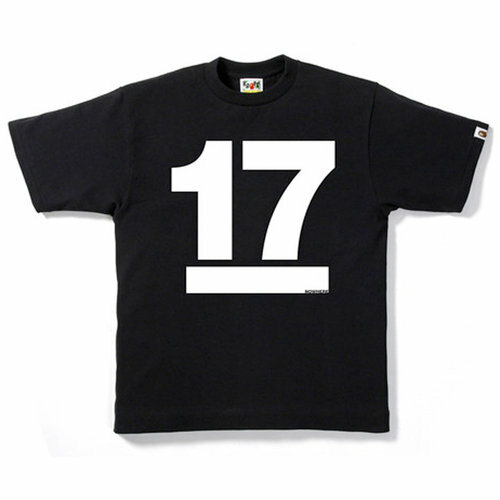 Today A Bathing Ape releases the Nowhere Co. 17th anniversary t shirt in black and white. 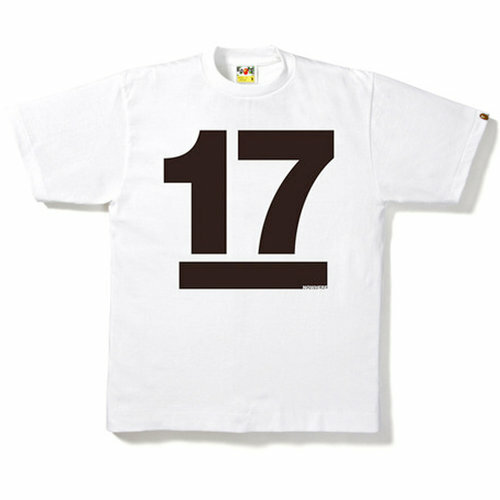 Simple design showing a massive number 17 on the front along with the Bape ape tag on the sleeve of the t shirt for added detail. The t shirt celebrates the anniversary of the Japanese store Nowhere Co. owned and launched 17 years ago by Nigo (Founder of Bape) and Jun Takahashi making this t shirt some what of a collectors piece. I am sure A Bathing Ape fans world over will flock to their nearest stockists to get their hands on this anniversary piece. For those fans here in the UK you can get hold of this by paying a visit to the Bape Store (4 Upper James St, London, W1F 9DG – 0207 434 2541) or by clicking over to the european Bape site here. Nowhere was located here in Tokyo. In Harajuku. It was the shop that led Harajuku towards what it is today. You have a good article on the story of Nowhere at http://www.neomarxisme.com/juntakahashi.html from the perspektive of Jun Takahashi/Undercover. Written by Marxy. Awesome! Thanks for the info. Nice to hear from people that really know their stuff. The articles really interesting. Thanks again! Yeah Marxy knows more than anyone on this subject. Sadly Harajuku isn’t really enjoying the best of days right now. Many empty spaces down there and also here in Aoyama where I am. Instead Uniqlo, H&M etc have built huge shops around Harajuku and I suspect they’re getting all the cash now as the low priced brands are the only ones that go really well in Japan at the moment.